Nutricosmetics are oral based nutritional supplements for beauty and skin health. Nutricosmetics market is primarily driven by the expansion and consumer awareness in personal grooming coupled with busy lifestyle of the growing urban population. Nutricosmetics are health products which is mainly used for the treatment of hair, nail, skin defects, sun protection and photoaging. Photoaging is aging mainly caused due to exposure to ultraviolet (UV) light which causes brown spots and deep wrinkles. Antioxidants such as vitamin E and C, green tea polyphenols, beta carotene, supplements containing polypodium leucotomos, an extract of a Central American fern plant, and synergistic antioxidants has the ability to reduce sun damage. Other micronutrients such as carotenes, flavonoids, and omega-3 fatty acids also provides protection from ultraviolet light exposure and reduce the aging of skin and wrinkle formation. Some of the key drivers to fuel the nutricosmetics market are rising retail shops across the globe, rising popularity of ready to drink nutricosmetics beverages, preference for effective and safe beauty solutions boosts the sales of cosmetics supplements, and growing consumer awareness toward prevention of pre-mature skin aging along with others. The increasing demand for skin care products and growth of global cosmetics market is expected to exhibit a CAGR of 5.2% in terms of revenue during 2017-2025, which is expected to drive the nutricosmetics market during the forecast period. The global nutricosmetics market size was valued at US$ 5.16 billion (revenue) in 2016 which is expected to expand at a CAGR of 4.98% is also a major product to drive the nutricosmetics market during the forecast period. The global nutricosmetics market size was valued at US$ 5.00 billion (revenue) in 2016 and is expected to expand at a CAGR of 11.65% in terms of revenue during 2017 – 2025. Factors such as rapid innovation and technological advancements is expected to gain traction in nutricosmetics market. For instance, in the U.S. Mars, food packaging company launched Dove Beautiful (containing biotin, zinc and vitamins E and C) and Dove vitalize (containing dark chocolate enriched with vitamin B). These products in spite of high investment in product promotion failed to gain consumer demand in the U.S market. Nutricosmetics products are subject to market regulations in Europe. For instance, in October 2010, European Food Safety Authority’s (EFSA) approved the launch of Nesfluid, a functional beverage along with other ingredients such as zinc, vitamin C and D, and selenium by Nestle. The target consumers for nutricosmetics have widened over time as now has taken male population on its ambit. Wellman Tricologic, a popular anti-hair loss product for men has attracted customers in Europe. Europe, followed by North America and Asia Pacific, respectively, accounted for major share in the global nutricosmetics market in terms of revenue in 2016 and the trend is estimated to remain the same over the forecast period. In 2016, North America held a share of 26.12% in terms of revenue, followed by Asia Pacific (24.03%). The growing demand for personal grooming and busy lifestyles in Asia Pacific due to rising consumer awareness coupled with growing retail sector is expected to drive growth of the global nutricosmetics market over the forecast period. The global vitamins segment in the global nutricosmetics market is expected to witness a CAGR of 11.65% from 2017 to 2025. 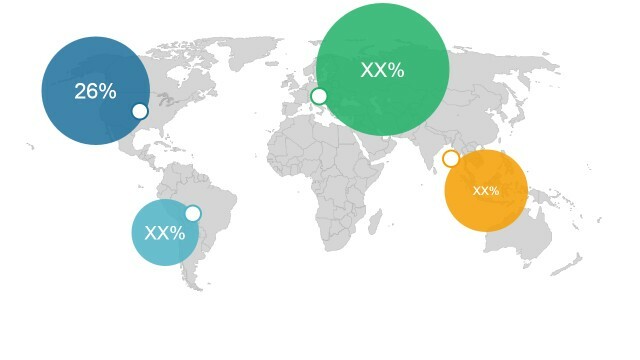 Asia Pacific is expected to be the most lucrative market during the forecast period, due to its rapidly growing economy, especially in China and India, coupled with rising healthcare awareness, which in turn is expected to bend the consumers towards nutricosmetics along with the regular diet. Moreover, the growing retail sector across the region is also expected to boost the market for nutricosmetics from 2017 to 2025. For instance, according to India Brand Equity Foundation (IBEF)—a Trust established by the Department of Commerce, Ministry of Commerce and Industry, Government of India—the retail market in India is expected to nearly double to US$ 1 trillion by 2020 from US$ 600 billion in 2015, due to income growth, urbanization, and attitudinal shifts. Major players including Frutarom Ltd, Lucas Meyer Cosmetics S.A.S., Sanofi-Aventis U.S. LLC, Croda International Plc, and Pfizer Inc, Functionalab Inc, Laboratoire Oenobiol S.A.S., Laboratoires Inneov SNC., Beiersdorf Ag, BASF SE, Borba, Inc., Frutels LLC, ISOCELL SA, GlaxoSmithKline Pharmaceuticals Limited, ExcelVite, Denomega Nutritional Oils AS, Groupe Danone SA, IMCD Group BV, Lonza Group Ltd. among others are the key competitors in the global nutricosmetics market. Product portfolio expansion and geographical expansion are the key market trends which are expected to shape the industry in the near future. For instance, ALPI Candy Factory has expanded its manufacturing units in Croatia and Greece for the manufacturing of nurticosmetic products such as deo toffee, deo lavender with sugar and without sugar along with others are some of the few products to expand the growth of global nutricosmetics market during the forecast period. Nutricosmetics are health products which are orally consumed that are processed from cosmeceutical and nutraceutical products which contains anti-oxidants that are useful for the treatment of skin, nail and hair defects. The natural arrangement of nutricosmetics are available as tablets, drinks, jellies and pills. Increasing consumer awareness about wellbeing in Europe and North America is the key factor of the growth of the global nutricosmetics market during 2017-2025. The market for nutricosmetics is expected to grow at a CAGR of 11.65% during the forecast period. Rapidly increasing awareness among the people on skin care and oral care, growing urbanization population, busy lifestyles are some of the factors which is in turn projected to propel the market for nutricosmetics during the forecast period. Increasing popularity of ready to drink nutricosmetics beverages, preference for effective and safe beauty solutions boosts the sales of cosmetics supplements, and growing consumer awareness toward prevention of pre-mature skin aging are expected to fuel the growth of the market for nutricosmetics. Nutricosmetics are primarily taken in two forms- solid and liquid. The nutricosmetics products are taken orally either as liquids or pill. These products of nutricosmetics is expected to gain traction among the busy lifestyles as it takes less time compare to other cosmetics that are needed to apply over the body during the forecast period. The nutricosmetics market is expected to be highly driven by the cosmetics market which is expected to exhibit a CAGR of 5.2% in terms of revenue during 2017-2025 and is expected to retain the trend during the forecast period. Europe dominated the market in 2016 and the trend is expected to remain the same during 2017-2025. The increasing demand for nutricosmetics in various applications such as skin care, hair care, oral care, sun protection along with others, due to rise in consumer awareness towards health and beauty over the years, 2015-16, is the major driving force to position Europe as the largest region in the global nutricosmetics market. For instance, In October, 2010, Nestle launched a nutricosmetics product Nesfluid functional beverage, which was approved by European Food Safety Authority’s (EFSA) along with other ingredients such as zinc, vitamin C and D, and selenium, this regulations forces the manufacturers to evaluate their products through testing identity, purity, strength, and composition. North America market is also expected to experience significant growth and is anticipated to exhibit a CAGR of 11.64%, during the forecast period. This report segments the global nutricosmetics market on the basis of product types, forms and applications. On the basis of product types, the market is segmented as vitamins, carotenoids, omega-3 fatty acids, and others. On the basis of forms, the global nutricosmetics market is segmented into solid and liquid. On the basis of application, the global nutricosmetics market is segmented into skin care, hair care, oral care, sun protection and others. Moreover, vitamin is the largest product segment, accounting for over 56.6% share of the global nutricosmetics market in 2016, while, omega-3 fatty acids is projected to be the fastest growing product segment and expected to grow at a CAGR of 11.75% in terms of revenue during the forecast period. This report provides in-depth analysis of the global nutricosmetics market and provides market size (US$ Million) and Cumulative Annual Growth Rate (CAGR) (%) for the forecast period (2017 – 2025), considering 2016 as the base year. This study also provides valuable insights about market drivers, restraints, opportunities, new product launches or approval, regional outlook, and competitive strategy adopted by the leading players. The report takes into account the various types of nutricosmetics involved in manufacturing different product types, analyzing the market value and growth (%) during the forecast period. It includes insights on the largest technology used to manufacture different types of nutricosmetics across the globe. It profiles leading players in the global nutricosmetics market based on the following parameters – company overview, financial performance, product portfolio, geographical presence, distribution strategies, key developments, and strategies and future plans. Key companies covered as a part of this study include Frutarom Ltd, Lucas Meyer Cosmetics S.A.S., Sanofi-Aventis U.S. LLC, Croda International Plc, and Pfizer Inc, Functionalab Inc, Laboratoire Oenobiol S.A.S., Laboratoires Inneov SNC., Beiersdorf Ag, BASF SE, Borba, Inc., Frutels LLC, ISOCELL SA, GlaxoSmithKline Pharmaceuticals Limited. Insights from this report would allow marketers and the management authorities of the companies to make informed decisions with respect to their future product launch, technology upgrade, market exminpansion, and marketing tactics. The global nutricosmetics market report caters to various stakeholders in this industry, including investors, raw material manufacturer, product manufacturer, end-users, distributors, new entrants, and financial analysts. *Browse 90 market data tables and 40 figures on "Nutricosmetics Market - Global forecast to 2025”.